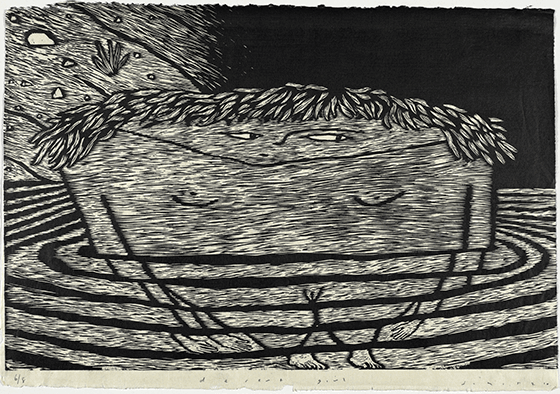 Desert Girl, 2011, relief woodblock print on Japanese Kozo paper, 76 x 56cm. Winner of the Rick Amor Print Prize 2011. 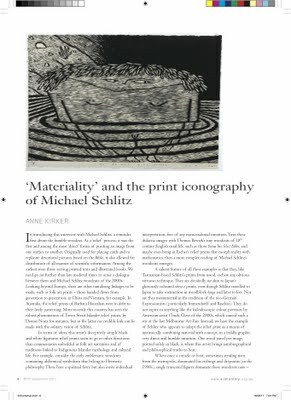 Image of work by Michael Schlitz; image courtesy the artist, graham galleries + editions, Brisbane, and Bett Gallery, Hobart .